Grace renewable energy a leader in solar industry offers a broad range of photovoltaic solar modules exporter that feature high efficiency and best-in-class manufacturing edge. 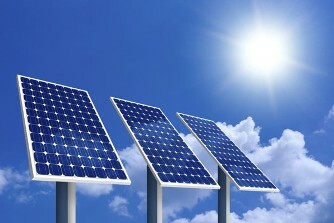 A set of electrically connected solar cells are known as Solar PV (photovoltaic) module manufacturer. The main purpose is to generate electricity. These modules aim to enhance the performance of your PV Plants by integrating technology and expertise to yield maximum energy return. These modules are designed to offer a minimum efficiency of 15 % and perform even during harsh environmental conditions ensuring a long life. We are the preferred choice for products and services with “Made in India“ and brand name grace renewable energy at global scale.